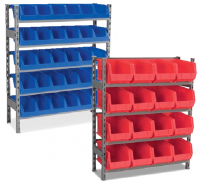 Our premier Rapid Rack shelving systems are made of the highest quality steel. 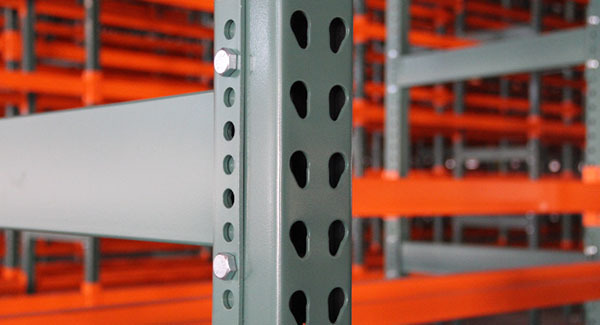 We specialize in both boltless (rivet style) and steel shelving. Standard heights ranging from 3’-15’H and shelf sizes range from 12” – 48” deep, and up to 96” in length. Capacities also range from 250lbs-2,000lbs per shelf evenly distributed. 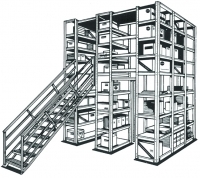 Our space saving, Wildeck mezzanines and Rapid Rack catwalk systems revolutionize the way to optimize warehouse space by capitalizing on otherwise lost square footage. Before thinking of buying a larger building, think of all the space not being utilized by going vertical in your existing building. 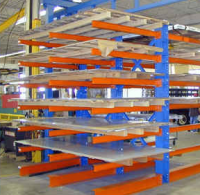 Our Pallet Rack systems are built to last with our professional design and engineer team. 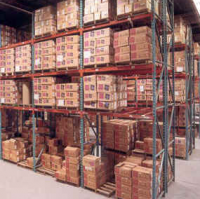 Every pallet position is built carefully and designed to hold your company’s products safely and efficiently. Our cantilever is built in two different types; roll form and structural (I beam) steel. This cantilever strength cannot be matched. 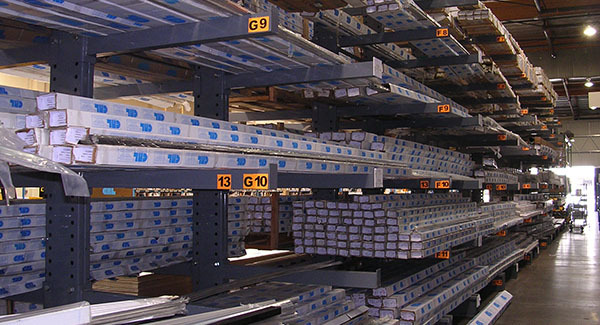 Cantilever Racks are built for oversize products that cannot be used in convectional racking system due to their weight or size. We offer a wide variety of material handling products to suit your every need. We work with the best manufactures in the USA. We carry many products and storage solutions such as rolling ladders, storage bins, guard rails, and work benches just to name a few. Eagle Material Handling is the number one company for all you Material Handling needs. Eagle Material Handling offers an array of sizes and capacities to meet all your needs. Our many years of experiance in design and engineering can help you attain a custom system to optimize your needs and budget. 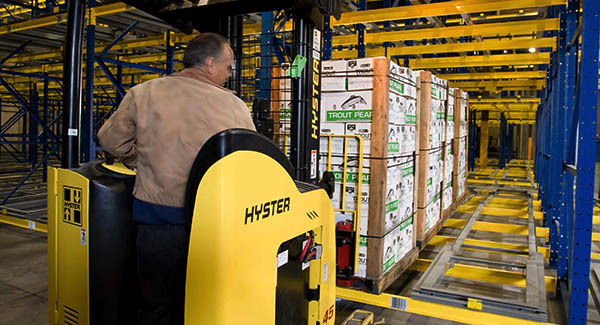 As Idaho's Leader in material handling we handle and store our product locally for expited response to our customers orders. Eagle Material Handling is a pioneer in the design of custom and standard material handling solutions. 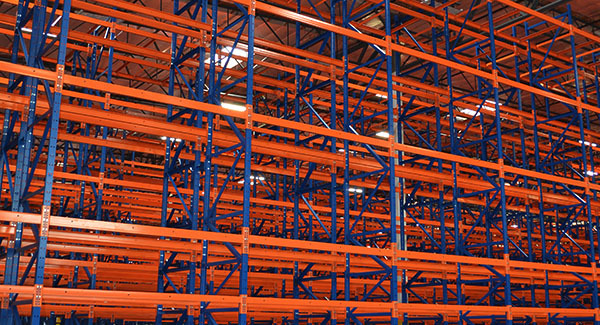 You can be assured that each industrial product we sell whether it is Pallet Rack, Shelving, or a Mezzanine, etc. is of the highest standards and industry codes. Customer needs are always our first priority. Professional and efficiant installation of all your material handling product. Our installation specialists make implementation of your material handing solution a great experiance. Copyright © 2013. Eagle Material Handling LLC.